This incredibly beautiful 5 BR/4 BA Farmington home is filled with custom features from start to finish! The stunning, hand crafted staircase welcomes you and sets the stage for one breathtaking view after another! 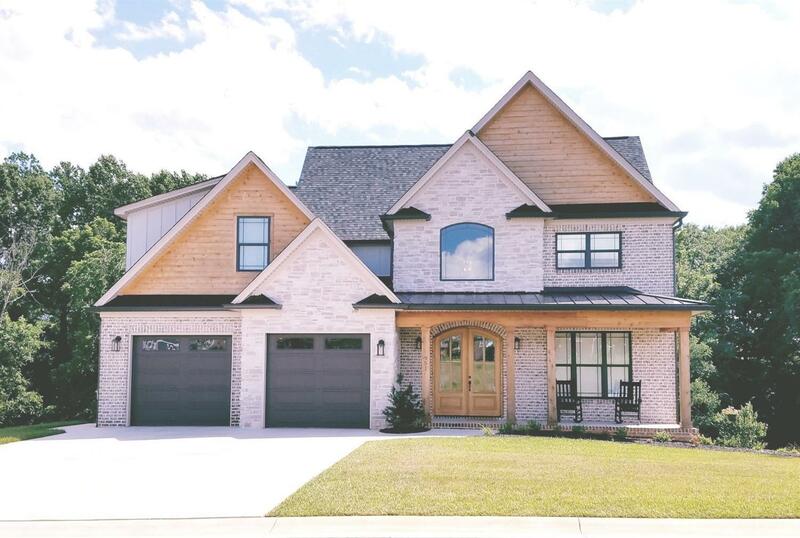 The main floor offers a great room with vaulted ceilings, a stone fireplace, custom hand cut wood shelving and mantel, separate dining area and one of the most fabulous kitchens in the area w/ hand crafted, coffered ceiling, exquisite quartz & oversized island. You'll love the custom cabinetry in the mud room & the convenience of the laundry (Washer & Dryer Convey). A guest suite & fabulous owner's retreat with spa-like bath, custom tile flooring, soaking tub & dual head shower, separate walk-in closets & large bedroom w/private access to deck & screened porch with fireplace complete the main level living space. The remaining 3 Beds/2 Baths & playroom are located on the 2nd floor. Theater Room - Seating, Projector & Screen Convey. New Humidifier Added to HVAC. One of A Kind!